You are here: Home / Blog / Uncategorized / Home feature / What Parents Say About NSIC? “There is no doubt that every parent aspires to find the perfect college education for his or her child. The ideal is for them to attend an academic institution with the highest standards, an inspiring and knowledgeable faculty, and an environment where a child will be able to be proactive and explore their individuality. From our first visit, we were convinced that we had found such a place in New Shores and that this would be the perfect place for our son Akshay to pursue his further education. On that first visit we were assigned a young lad to be our counselor and guide. He described the ways in which New Shores was different from other, more conventional colleges with its outstanding faculty and Global curriculum. Among the other thing he showed us, the small class sizes were also, we thought, a great advantage. We were impressed with what we saw and since Akshay enrolled in New Shores, we have never regretted our choice, even for a moment. At New Shores, Akshay received a remarkable professional and liberal education thanks to New Shores’ Global curriculum. He benefited from being able to build close relationships with the faculty members; their office doors were always open to him, and on numerous occasions, the doors to their homes were also opened for meals and lively conversation. Some of Akshay’s fondest memories of his college days were the hours he spent in his favorite professor’s offices discussing politics, music, business, and life in general. The formal education at New Shores is, without doubt, second to none but the informal education is equally as important. New Shores’ smaller and more intimate environment is nurturing to its students, allowing them to get involved in many aspects of college life. Extracurricular activities abound! The campus boasts wonderful music bands, special-interest organizations, sports teams, the student journal, theater – the list is considerable. Opportunities for growth and leadership abound and are widely adopted by students, eager to expand their experience and potential. Student’s Name: Akshay Kumar V, Global BCA. 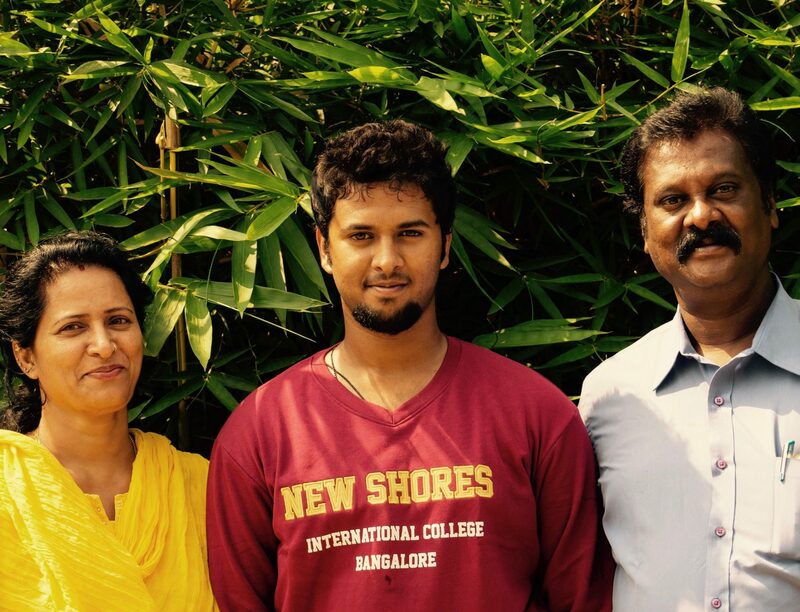 My son Darshan completed his schooling in Sri Arobindo, and PU in Christ Junior College. We wanted to send him abroad for his bachelor studies but in the end we changed our minds. We set out to look at colleges in Bangalore, with the objective of finding an international level, professional, supportive and disciplined college education for him. I heard about New Shores International College through a family friend -Dr. T V Raju who is the Director of the R.V Institute of Management. He came with us and our son to visit New Shores. We applied for the course Darshan wanted. He was selected on the second list. 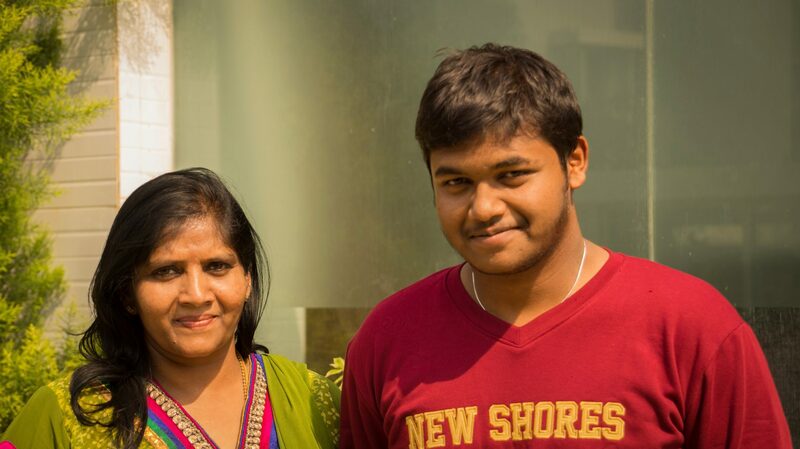 Darshan has now completed his second semester at New Shores and it has proven to be one of educational and personal enrichment. His perspective of the world and life in general has noticeably broadened. He has been inspired and challenged by outstanding professors who have spurred him on to do his best and to strive for the excellence that we know he is capable of. Darshan himself says that he is aware of the fast pace of the changes he is going through due to his experience at New Shores and of the unique and empowering experience it has brought him. He has developed at great admiration and respect for his professors as well as the New Shores staff for the many opportunities that he has had at the college. I entrusted New Shores with enhancing my son’s education and in this, the college has far exceeded my expectations. I would have no hesitation at all in recommending to any parent that their son or daughter will ultimately enjoy the same positive and empowering experience if they attend New Shores. Student’s Name: Darshan V Ikkeri, Global BBM. Father’s Name: V. P. Ikkeri. Occupation: District Commissioner, I.A.S.